Maintain your green space. If you have grass, a well-maintained, green lawn makes your home look inviting and picturesque. However, in many parts of the country, water conservation is becoming more important. Xeriscaped landscapes incorporate drought-tolerant vegetation that thrives in warm, dry climates, such as lavender, sage, wisteria and agave, with water-saving drip irrigation and mulch. 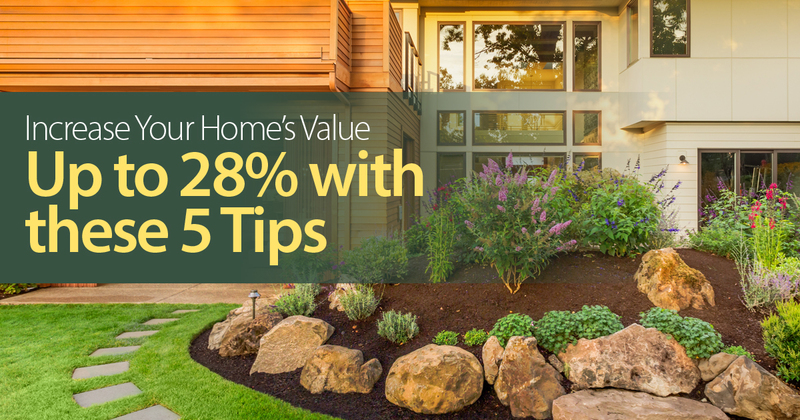 Xeriscaping has a cost savings of 36 cents per square foot annually through reduced irrigation and maintenance costs.3 Additionally, these landscapes are virtually maintenance free, which makes it an attractive option for busy buyers.